I recently received my Sabre L1 and I couldn’t be happier. It is easily the smoothest razor I own. 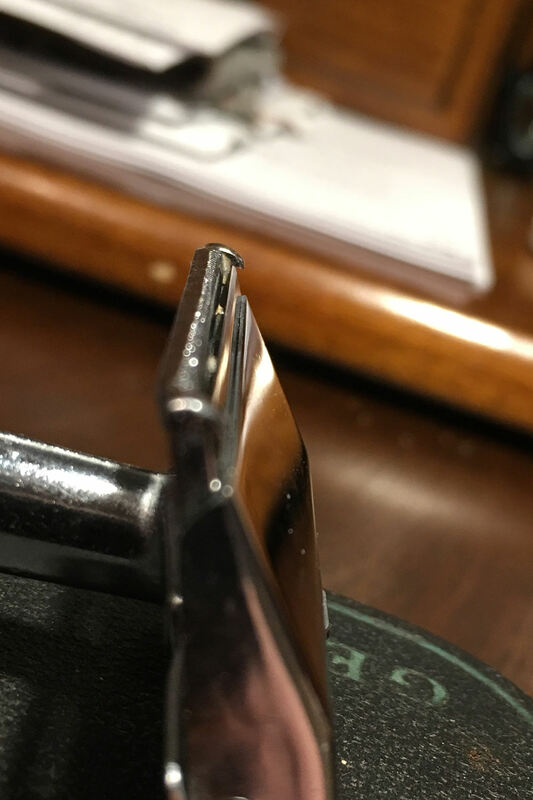 I am looking for advice on a vintage SE razor which would best mimic the Sabre L1 as I don’t want to take my Sabre while traveling for fear of losing it. Maybe not as efficient, but for smooth I would suggest either the GEM Heavy Flat Top or Feather Weight. Also, the Clog Pruf Micromatic is another good option. It will be more efficient and should still be very smooth. I never liked the feel of the g-bar or the featherweight in my hand. The balance and placing of my fingers felt awkward with those razors. Definitely check out the gem pushbutton. I believe it has the same head as the g-bar and featherweight, but the ergonomics fit my hand better. It do have a few pushbuttons for sale if you want to check out the BST page. If you haven't tried the gem 1912 or gem 1912 damaskeene razors, you are missing out! They offer what many people feel is the perfect combination of efficiency and comfort. I am an L2 guy but when I travel I shave with the GEM Bullet. Smooth and efficient. Less aggressive than the L2 so it should work well for you. (12-07-2018, 07:19 PM)shaverjoe Wrote: Thanks to all. Have you checked an Ever Ready Shovel Head? Lots of them around and they shave very smooth. How do you like the Sabre? Mine has had delivery problems, and I haven’t heard back from Black Land in a few days. Now I’m jealous! No, sir, I haven’t tried any vintage SE. It seems there are a number of good options. In regards to the Sabre, I am sorry you are having delivery problems. I would happily sell every other razor I own to keep the Sabre. It’s tbe best razor I own, period. G Bar or SB Bullet. G Bar has some weight to it look at the back of it. Plenty of metal there. I like my shovel head: (1924) I think. If you run up on a nice pristine Shovel Head don't flip the head open and let it bang the handle! The shovelhead is actually pretty aggressive, in my opinion. 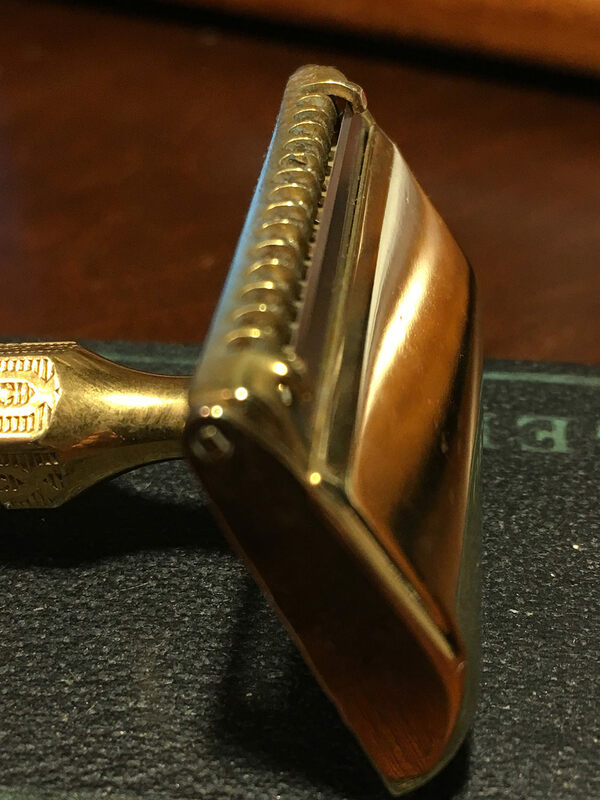 If the OP wants a vintage razor similar to an L1 I would suggest the bullet tip (aka magic dot). Mild and super smooth. Bullet Tip it is, folks. Thanks for the information. I’ll be on the look out for one.